Acacia Mall in Kololo is one of those affected. Courtesy photo. KAMPALA. 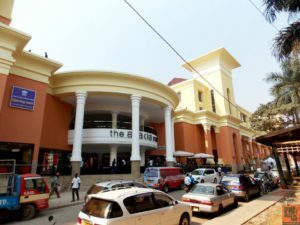 Troubled Nakumatt holdings has closed its major outlets at Acacia Mall-Kololo Village Mall-Bugolobi and Victoria Mall-Entebbe. In a statement the head of retail Knight Frank Uganda, said the supermarket space at these malls will go under redevelopment to add additional value to our shoppers and their shopping experience. Knight Frank is a real estate, and residential and commercial property consultancy firm that manages the subrentals at the premises on behalf of the property owners. The statement adds that the balance of the stores in the malls will continue to trade for the convenience of customers as per the usual standards. According to the statement, the closure took effect on June 28. Sources familiar with the Nakumatt operations say that even though the giant chain blames others for its woes, the situation is largely compounded by a weak management structure that has exposed it to unnecessary losses. They particularly cited poor corporate governance as one of the issues that has affected operations. Nakumatt Supermarket in Nairobi has also been dogged by woes. The company has also in the past been forced to deny allegations of money laundering and tax evasion — with some claims contained in entries in WikiLeaks, a whistle-blowing website, linking it to the collapsed Charterhouse Bank. Nakumatt had over the years grown into Kenya’s most successful indigenous chain of supermarkets with a regional presence. At its peak, the retailer was estimated to be worth between Sh1.5 trillion and Sh1.8 trillion, according to a source with close knowledge of Nakumatt’s operations. But despite its massive size, Nakumatt remains a tightly controlled family affair.